GCA Would Like to take time to THANK Our FRIENDS! All corporations, companies, business owners, groups, organizations, and individuals listed below have given GCA authorization to advertise their name. 3. 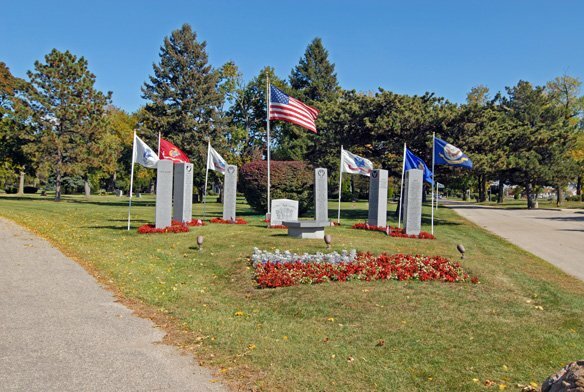 DIGNITY Memorial Services Woodlawn Cemetery Forest Pk, IL. 4. UNITY - DAILY WORD. 7. TRADER JOES - La Grange, IL. 8. WHOLE FOODS- Wheaton, IL. This location is used as a Drop Off Site for Guardian Corps of America. ﻿10. Illinois Dept of Veterans Affairs/ Springfield IL. 11. American Legion Post # 888, 256, 1941, 488, 735, 2801, and 479. 12. West Suburban Bank- Lombard, IL. 15. Joseph Topinka, Commandeer - American Legion Post # 0488- Riverside, IL. Mike Pekny, 414 Plaza Drive Suite # 101. Westmont, IL. 60559 / Phone: 312 - 399 - 3634 / Fax 630 - 455- 4316. ﻿﻿17. Officer Robert Garza - Stone Park, IL Police Department. Distributor for GCA. 23. Mr. and Mrs Joseph Lanzilotti, former mayor of Berwyn, IL. 26. Steve Fixler Executive Director DuPage Veterans Commission - Wheaton, IL. 27. Oak Park Vet Center - Mike Rogers - Forest Park, IL. 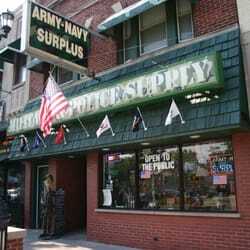 This long-standing store specializes in gear & uniforms for military, police & security personnel. 32. Thomas Day of Bugles Across America. 1824 Cuyler Avenue, Berwyn, IL 60402﻿ / Photo below of Tom Day Founder of Bugles Across America. Guardian Corps of America appreciates all the effort and work those in the business, corporate, and civic community contribute to the cause. We would also like to Thank the fine individuals who have made contributions to the cause by giving their time, effort and support so those of Us at Guardian Corps of America can continue our work on behalf of those who are homeless, poor, less fortunate, and disadvantaged. We wish all of You a prosperous, safe and healthy 2019!